eurocirugía Barcelona is a team made up of neurosurgeons, neurologists, neurophysiologists, traumatologists, anaesthetists, psychiatrists and neuropsychologists. e offer integral treatment of neurological disorders from a multidisciplinary approach, thus enabling effective treatment of highly complex conditions. e also have all the latest technological advances: systems for neuronavigation, cerebral endoscopy, thoracic endoscopy, ultrasonic aspirators and gliolan microscopes. ur objective is the prevention, diagnosis, treatment and control of diseases of the central and peripheral nervous system and the spinal cord and related structures. its patients in body and soul. We provide personalised care to our patients and their families to offer the best diagnosis and treatment. 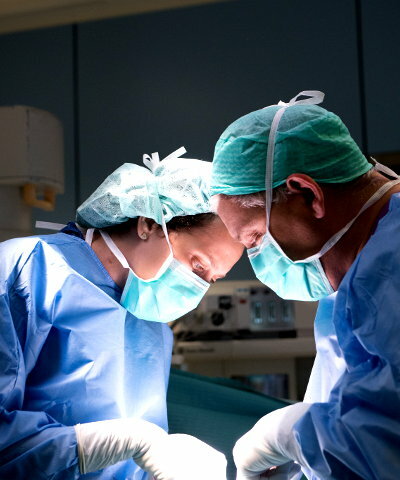 We have a specialised team of neurosurgeons, neurologists, neurophysiologists, traumatologists and neuropsychologists who participate in working groups with anaesthetists, oncologists and other similar specialties to give a response and therapeutic excellence to any neurosurgical or neurological disease in any age group, including children. On a surgical level we are a reference group in minimally invasive procedures for the brain or spinal cord, for any oncological, cerebral vascular or spinal pathology, as well as surgery for Parkinson's disease or epilepsy.